To the mass Western consumer, Koreans are portrayed as ridiculous North Korean caricatures (the puppet version of Kim Jong Il in Team America), as overbearing husbands and manipulative wives (Daniel Dae Kim as ultra-possessive Jin and Kim Yunjin as the crafty Sun in Lost), and as overachieving burnouts (Sandra Oh in Grey’s Anatomy). These portrayals are what Krys Lee attempts to subvert in her excellent debut collection of short stories, Drifting House. Indeed, Lee explores and highlights several aspects of Koreans and Korean Americans that are never discussed outside of the confines of those cultures. Two of the more memorable stories in the collection, “At the Edge of the World” and the title story, “Drifting House,” even dare to humanize North Koreans in a way rarely seen in the West. Gone are the images of mass games or military parades, and, more importantly, the portrayals of average North Koreans as mindless drones happily gulping down the propaganda thrust their way by the Kim family. “Drifting House” in particular seems to go out of its way to humanize North Koreans. This story is no doubt informed by Lee’s own work with North Korean refugees; in an article about her work with one particular North Korean defector that she grew close to, Lee mentions that she is “attracted to survivors, broken people, the lonely.”* The protagonists of “Drifting House” are all three of those things. Though the characters are brothers, they become as distant from each other as strangers. Their home no longer exists, and the rest of their family is dead, dying, or missing. Lee allows one of the protagonists, Woncheol, to come to realize his alienation naturally: “There were a great many things he didn’t know, he realized, and as he gazed at the horizon of splintered peaks, his life shrank in significance.” What Woncheol thought was his home was a lie; what he believed was his family a falsehood. To readers unfamiliar with the plight of North Korean defectors, this moment of realization is just as significant. 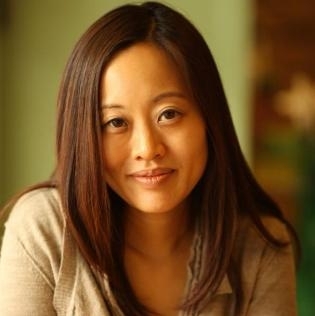 Lee refuses to allow her characters to lapse into the melodrama that defection from North Korea might generate, and instead helps the reader understand that the average North Korean has hopes and desires like any other person, and those hopes and desires are as easily crushed as any of the other characters featured in other stories. Lee also refutes the common conception of Koreans as fervent and dedicated Christians. In fact, Lee makes it abundantly clear in “At the Edge of the World” that slavish devotion to Christianity can be just as misguided and vexing as slavish devotion to the Kim dynasty. The story, which in terms of narrative voice is the most impressive of the collection, features a nine-year old autistic boy named Mark watching helplessly as his stepfather and mother, both North Korean defectors, fall apart. Mark’s stepfather (also the protagonist of “Drifting House”) relates the propaganda of the North Korean ruling class to that of Christian dogma; his mother, however, channels her grief into desperate affection for Christianity and God. Eventually, Mark’s stepfather’s own railings against religion are undermined by his belief in his neighbor’s shamanism, while Mark’s mother, aghast at the heathens around her, finally retreats from her family. Further along the religious thread is the weakest story in the collection, “The Believer.” In many ways, the manner by which Lee confronts the effects of fervent Christianity is a bit too obvious, even for a collection that contains several stories that are overtly dramatic. The opening paragraph of the story borders on gaudy, comparing God to “the nebulae that she sometimes woke ecstatically to, a monster gliding along the sea’s black floor.” This description made me cringe; indeed, the entire story contains several cringe-worthy moments, especially the climax between the protagonist, Jenny, and her father. The taboo event that the two characters find themselves hurtling towards too directly portrays itself as a reactionary response to Jenny’s own conflicts with God and Christianity. Jenny occasionally lapses into Hallmark-television laments like “(w)here had God been that day?” and “(t)hen one day God was nowhere,” all the while corrupting her pastor father and turning him towards the deepest of sins. Though Lee is admirably exploring a side of Korean-American life that has rarely been portrayed or even discussed, the pacing and narrative of the story is grating and clumsy. Overall, though, most of the stories are wonderful pieces. “The Salaryman” manages to overcome what could be a too-cute second person narrative gimmick and instead elegantly explores the fraught relationship between work, face, and family in modern Asia. The opening story, the Los Angeles-set “A Temporary Marriage,” portrays both the liberation and violent repercussions for a Korean woman who dares to free herself from traditional gender norms. Gender norms are also subverted in “The Goose Father,” which portrays the shame spiral of a Korean male dealing with his repressed homosexuality while also dealing with the very real damage that Korean society places on those who dare to be too different (“Koreans need to be beat,” says one character about lax soldiers in the Korean military). Ultimately, Lee manages to accomplish a massive task: to explore modern Koreans and their place in both the U.S. and at home, in Seoul. Lee herself straddles both of these cultures, and proves to be a worthy ambassador for both. Noah Cho teaches English at Marin Country Day School in Corte Madera, California.